In the last four months of my second pregnancy, my only income was a $432 child-support payment that I received for my older daughter. I had to quit work as a house cleaner due to pregnancy-related pelvic pain and a heavy workload from my final semester of college. In a phone interview for my biyearly renewal for government assistance, I asked my caseworker about receiving cash assistance through Temporary Assistance for Needy Families (TANF). “You’d count as a family of three,” she said. I could hear her typing and clicking at her desk. I imagined the stacks of files and double monitors by an indistinguishable plant in dire need of attention. “So you’d get a total of $515 a month.” I had her send the application, but I didn’t end up applying. Even though I needed the extra cash, the work involved with being on TANF wasn’t worth it. First, my child-support payments would go directly to the state instead of me. Instead of receiving direct deposits into my bank account, my $432 in support, plus the added amount I’d qualify for in cash, would go on to my Electronic Benefits Transfer (EBT) card, a debit card I used to pay for food. At the register, I’d have to purchase a small item with cash instead of food money, and it would give me the option for cash back. I could also go to an ATM and pay a fee. Second, the application process for TANF is extremely lengthy and involved. Since I was nearing my third trimester of pregnancy, I was exempt from the work requirements. People on TANF who are able-bodied enough to work must complete 20 hours of approved work actions a week in order to continue receiving cash. Every hour must be carefully documented and, in some cases, proven. Work activities can include a certain small number of educational classes that fall under trade-oriented careers, like auto mechanics, or a short-term class that ends in a specific job certification or keeps you on track to employment in a specified field. For most of these jobs, full-time paychecks would still be low enough for an employee supporting a family to qualify for food and medical assistance. TANF is not a system set up to educate recipients in order to get them into jobs with a higher wage. The system is designed get you back on your feet, at a job, and fast. TANF was Bill Clinton’s welfare reform from 20 years ago. Before then, welfare had been an entitlement, an amount people received without questions asked. But a growing number of people were on it, and Republicans feared welfare users taking advantage of the system. Clinton’s reform included significant time restraints and work requirements. Now, two decades later, TANF clients are dropping rapidly in numbers, from 4.2 million in January of 2012, to 3.2 million in December of 2014, or so says the Office of Family Assistance through the United States Department of Health and Human Services. But poverty levels are staying the same, with 1.5 million living on $2 per person, per day. This doesn’t show that TANF is successful in getting people out of poverty; it shows that fewer people are applying. Additionally, once you start working, your cash assistance fades away quickly at a nearly dollar-for-dollar rate. TANF recipients’ income cannot exceed the amount of cash they qualify for, and they cannot have more than $2,000 in assets. Welfare used to be a program set up to give recipients an allowance for an undetermined amount of time, but it is now a closely watched and calculated program that is eager to help you for as little of time as possible at a bare minimum amount. Granted, it is extremely helpful to those who have nothing. If I hadn’t received child support, or if it was a much lower amount, getting cash would mean being able to make rent and purchase gas, but not much more. If you do decide to apply, expect a detailed packet to fill out, which is different from the one you fill out for the Supplemental Nutrition Assistance Program (SNAP). Not only will you be required to give details of previous employment and all assets, you will go through what they call a work-readiness assessment and an individual-responsibility plan. Here you respond to dozens of questions on your work experience, your ability to work, and what you might be interested in doing for work. I applied for cash assistance at the very end of my first pregnancy with my older daughter in 2007, and I faintly recall the “career” options they had listed. Most were in customer service, and many were in the food industry. I think I chose “baker,” because you have to choose in order to make a plan. Then you meet with a counselor who helps you take steps that might be required in order for you to break into your new career of choice. None of the careers listed had a higher-education requirement or much more education needed than a certification. There are some educational classes that meet these requirements, but none in a higher-education setting. Being on TANF is a job in itself. You meet regularly with your caseworker, you check in often, and you must report your work-related activity. On a positive note, receiving TANF does earn you the full amount of other benefits, including SNAP, Medicaid, and any utility assistance. Once you qualify for TANF, it is much easier to apply for and receive other types of aid. In some cases, you might be pushed to the top of the list because you have a greater need than others. Bottom line: TANF can be a useful program if you have absolutely no options and need whatever help you can find to get back on your feet. It’ll help you qualify for other assistance. A caseworker will help you sort out whether or not it would be helpful in your situation. Don’t let them discourage you. If you need cash because you don’t have any other income, then by all means advocate for yourself to get it. Be prepared to work for it. Which, I suppose, is the American way, even if many of the jobs TANF leads to have little chance of earning a living wage. We’d love to hear from Solo Moms who have different experiences with TANF. Email housingfood@esme.com to share your story. 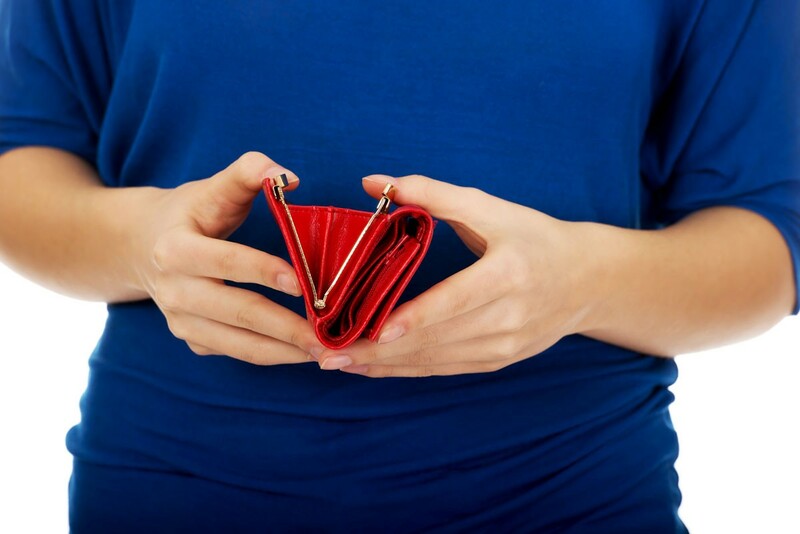 For anyone struggling financially see our resource section Public Assistance.